Having a Little Fun….Winter Memories! – Lovely.Multifaceted.Chic. Having a Little Fun….Winter Memories! Hi everyone and happy spring! 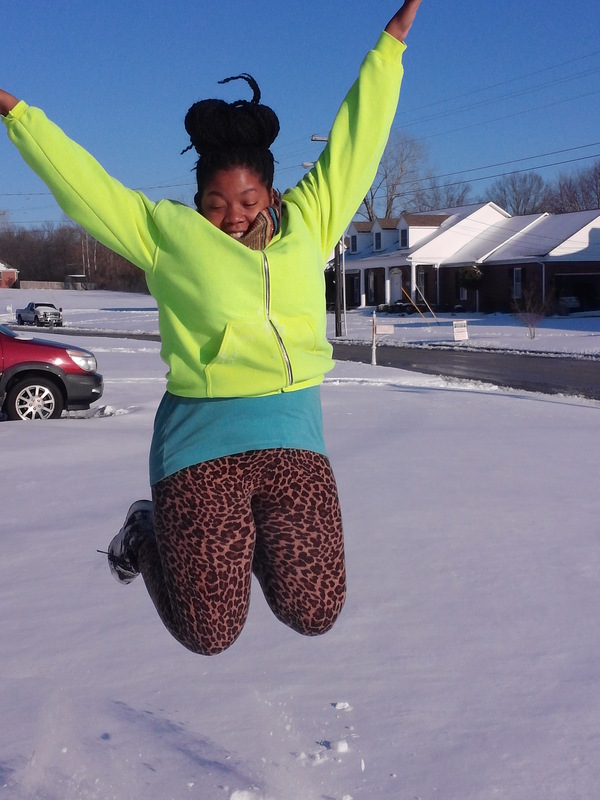 I am looking forward to the spring weather, but I had to enjoy my highlight of this past winter….SNOW! Snow is not frequent here, so when it comes it’s a big deal. I have never witnessed a snow storm here that produced a blanket of snow that I could bury my feet in it. I had fun playing in the snow and I wanted to share some of my moments that happened two weeks ago. I know that some of us are still experiencing winter weather. Enjoy what you can and look forward to spring!